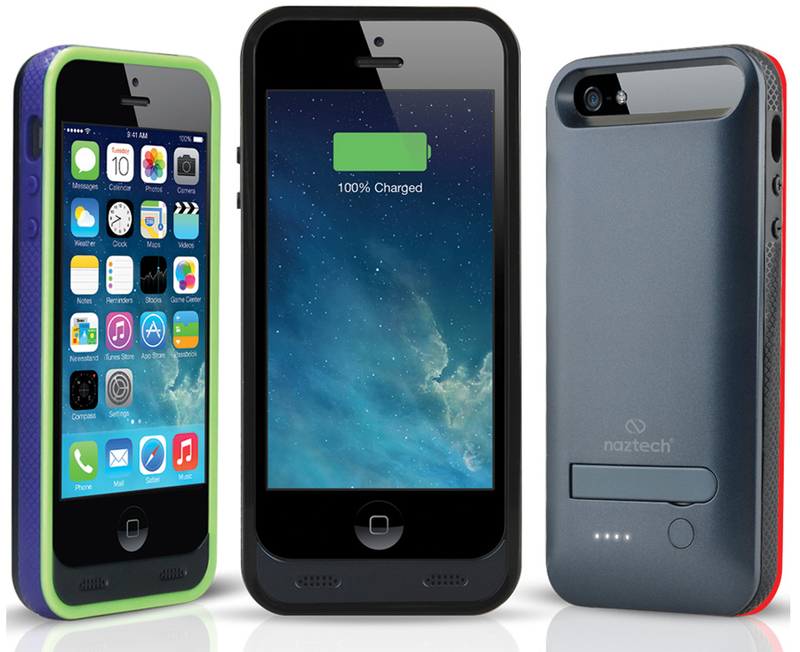 The Naztech iPhone 5/5s Power Case has a built-in battery that nearly doubles the usage time of your smartphone. Use your iPhone for calls, pictures, video, games, and business apps with extended and stable power. The Naztech Power Case for iPhone 5s & 5 has a built-in battery that nearly doubles the usage time of your smartphone. Use your iPhone for calls, pictures, video, games, and business apps with extended and stable power. Match your mood with the three colored interchangeable frame options. Its slim profile yet sturdy design makes the Naztech iPhone 5/5s Power Case an ideal solution for extra on-the-go protection and power. Disclaimer: * Battery life varies with usage and settings. Numbers given are only if used solely for purpose stated.